Soldering is required. You get everything you need to build a 30 amp computerized Light Controller housed in a weather resistant plastic enclosure. Note: These are early controllers with through hole componets. 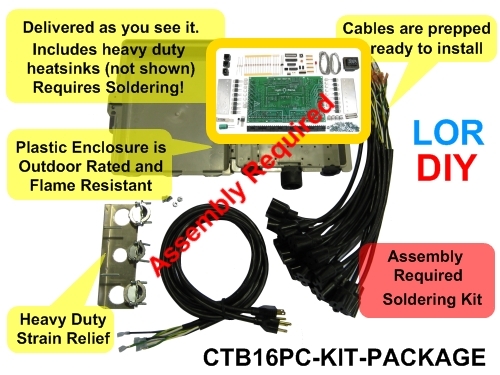 There are no solder kits available for the newer controllers with surface mount componets.